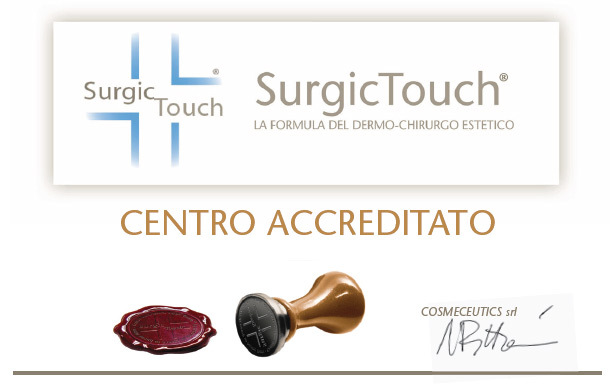 Cosmeceutics has the objective of creating a group of highly qualified professionals, who are recognizable thanks to the plate SURGICTOUCH ACCREDITED CENTER. Cosmeceutics offers a wide range of technical training, services and interesting marketing tools to the professionals, to effectively promote the quality of the products. 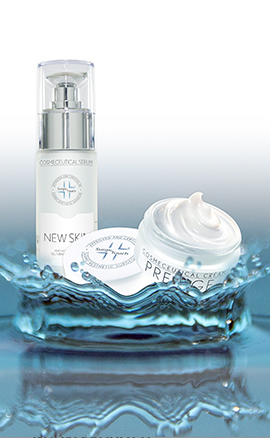 Specific Products: cosmeceutical products based on scientific evidence, formulated by the dermo-aesthetic surgeon. Marketing Services: information material able to convey the high quality of the products and interesting marketing tools for the end client. Training: specific training on the cosmetic world and dermatological insights. Seminars held by Doc. Pittoni and workshops organized by SurgicTouch area manager. Technical Protocols: practical training on working techniques, inspired by the aesthetic medicine. They are revised for the beauty world. Technologies: technical information for the end client about SurgicTechnologies and how they work to offer better results in synergy with cosmeceutical products. Aesthetic Medicine: keep yourself updated on the new techniques and latest aesthetic surgeries.